A top Pentagon official took an unannounced trip to Afghanistan on Feb. 11 to meet with U.S. commanders and Afghan leaders amid a renewed push for peace with the Taliban as the Trump administration seeks to end the 17-year-war—the longest in the history of the United States. So far there have been no direct orders to reduce U.S. troops in Afghanistan, according to Patrick Shanahan, the recently installed acting secretary of defense who made the visit. 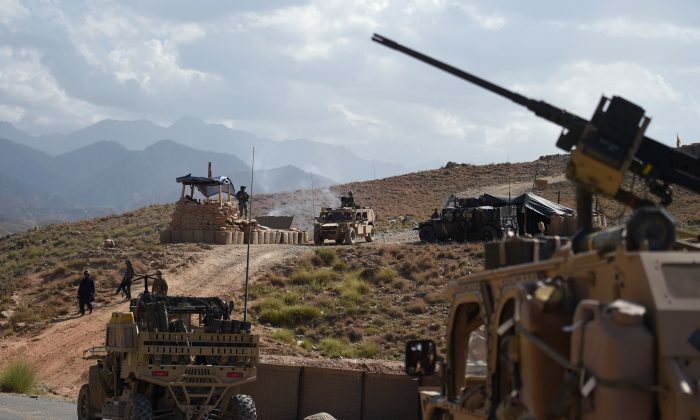 Officials say the withdrawal of troops is at the top of the Taliban’s list of demands in exploratory peace negotiations. Washington is trying to break the impasse between the government of Afghan President Ashraf Ghani and the Taliban, who have refused to negotiate. President Donald Trump has long advocated for ending the costly U.S. presence in Afghanistan. In December, he announced the withdrawal of 2,000 U.S. troops from Syria, citing the defeat of the ISIS terrorist group and that U.S. forces were no longer needed there. 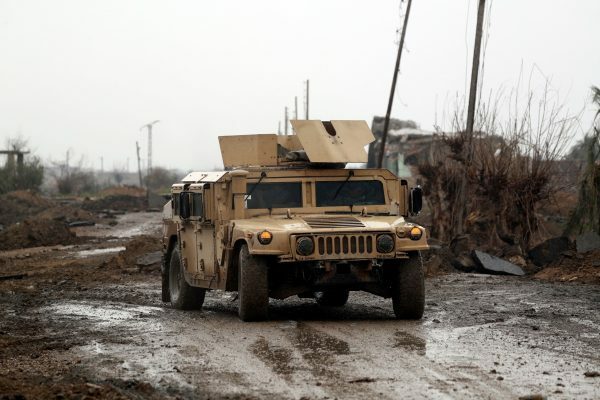 A Department of Defense spokesman confirmed Jan. 11 that the coalition had started the withdrawal process. During his trip, Shanahan flew to a military base where he met with Afghan army commandos, regarded as the most capable element of the Afghan military. He told reporters that the U.S.-trained commandos are increasingly on the offensive against the Taliban. The United States has spent $6 trillion on post-9/11 wars in the Middle East, according to the Watson Institute of International and Public Affairs. Zalmay Khalilzad, the administration’s special envoy for Afghan peace talks, said on Feb. 8 that although talks are in an early stage, he hopes a deal can be made by July. That is when Afghanistan is scheduled to hold a presidential election. In his State of the Union address last week, Trump said he had “accelerated” negotiations to reach a political settlement in Afghanistan. Meanwhile, ISIS fighters in eastern Syria have been forced into a tiny pocket with their families. Backed by 2,000 U.S. troops, the Kurdish-led Syrian Democratic Forces (SDF) said they are in a final showdown against ISIS after helping to drive the group from the towns and cities that once formed its self-proclaimed caliphate in eastern Syria. The SDF said at the end of last month that the presence of the fighters’ wives and children meant the U.S.-backed militia could not launch an all-out storm of the enclave and instead would have to use more measured and precise tactics, which has slowed the advance. Shanahan took over as acting secretary of defense on Jan. 1 after Jim Mattis submitted his resignation in December. Shanahan’s views on the Afghan war are not widely known. He said he would use this week’s visit to inform his thinking and to report back to Trump. After Mattis’s resignation, Trump said he had been unhappy with how Mattis handled Afghanistan. Since then, the administration has said it achieved a tentative “framework” for fuller peace negotiations with the Taliban.